He allowed me to answer the question over the microphone and given that I was put on the spot to answer a question that required a pretty long answer, I felt like I wasn’t able to give a very decent answer that was easy to understand. First, I understand why using Wikipedia would have been preferred because it was actually where I began my efforts in trying to spread the teachings of Tenrikyo online sometime around 2008-2010. It is an extremely popular website where any and everybody can create and edit information on the website. It has a massive database of other topics and information about Tenrikyo does exist. 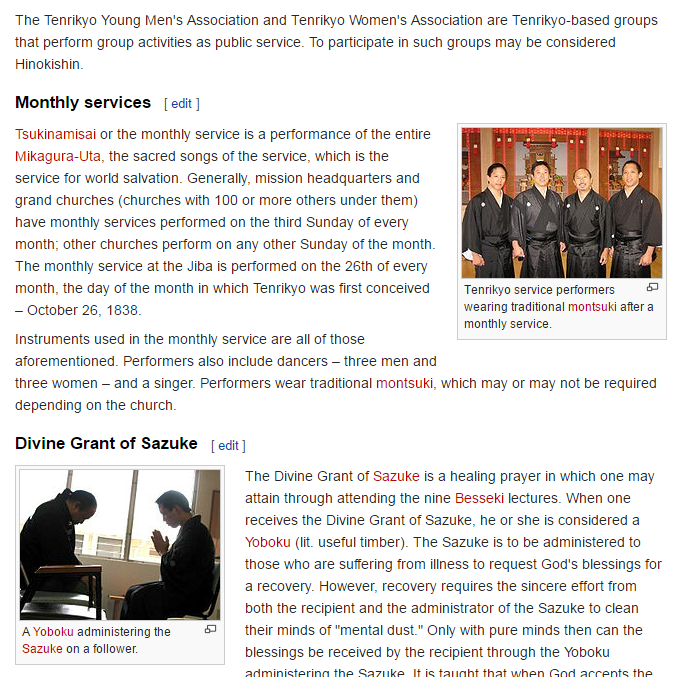 Screenshot of the “Tenrikyo” page where I contributed 3 of the 6 images used on the page as well as a fraction of the contents on the page. First, verifying your claims is one of core policies of Wikipedia, even publishing research papers, or conclusive statements is policy of citing the sources of the information by verifiable sources. Therefore, no facts can simply be stated on Wikipedia and must have a corresponding source of where that information came from must be cited. In Wikipedia, verifiability means that anyone using the encyclopedia can check that the information comes from a reliable source. Wikipedia does not publish original research. Its content is determined by previously published information rather than the beliefs or experiences of its editors. Even if you’re sure something is true, it must be verifiable before you can add it. When reliable sources disagree, maintain a neutral point of view and present what the various sources say, giving each side its due weight. Even further, the statements made on the site as well as the sources of information must, as a policy, have a Neutral Point of View (NPOV). With our perspectives strictly set by the Tenrikyo Church Headquarters and not by a neutral party which is usually an anthropologist making his own distinction of the religion and its teachings, we cannot fulfil our goal of spreading the teachings in the way that we want to. For example, we cannot make statements based on the “The Doctrine of Tenrikyo” because it is a bias interpretation of the Tenrikyo teachings. Another issue I also realized was that Oyasama was not only a central figure in “Tenrikyo Church Headquarters” but also in other “splinter groups” or “off-shoot religions” as well. 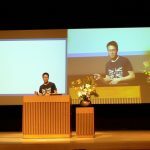 So in that respect, contributing on the topic of Oyasama, we would have to remain neutral and acknowledge other interpretations and information about Oyasama and Tenrikyo in general. Another reason, often that is used by video games or movies such as World of Warcraft and Starwars, a entirely separate wiki is created. Given the context of Tenrikyo some ordinary words or phrases are interpreted differently globally. For example, “Red Clothes” in Tenrikyo refer to the clothes that Oyasama wore, but globally or in the context of Wikipedia, that would have to be disambiguated because it could be referring to the red clothes in some other religion. I am not against contributing to Wikipedia because there is much to contribute to about Tenrikyo there; I just can’t do it in the way that that Church Headquarters would probably like to see it described. If you would like to contribute to the Tenrikyo Resource Wiki, please contact, me (via facebook Lewis Nakao).